Translated as "little mustaches" in Italian, Mostaccioli are diagonally cut tubular shapes similar to penne, but larger in size. 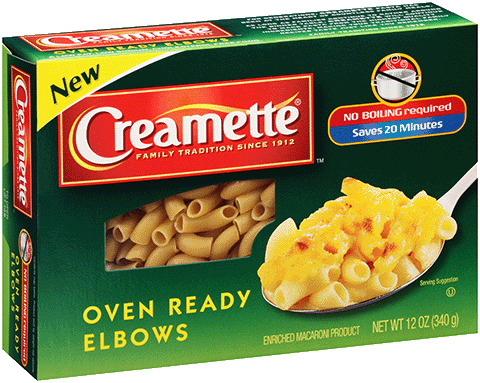 Mostaccioli have a smooth surface, while Mostaccioli Rigati have a ridged surface. 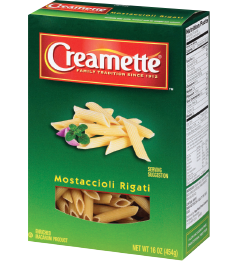 Versatile in size and shape, Mostaccioli Rigati is good in entrées, side dishes, baked dishes and cold salads. Almost any favorite pasta sauce is complementary. Thinner sauces work better with Mostaccioli Rigati since the ridges "hold" the sauce. Thicker sauces will cling to smooth Mostaccioli.